Whoa nelly, Peeps, things are starting to look a little more finished around here. So glad to be past the demo stage. Things I’m loving most about the space? How bright it is. Hooray for proper lighting! lines in the living room doorway. This old house has lovely bones; it’s our job to make sure she shines. 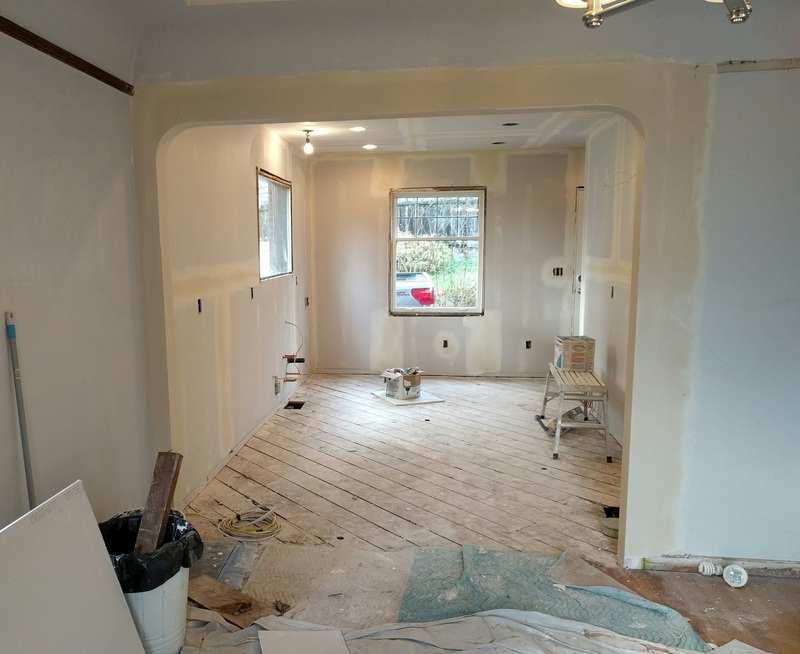 Here is a view from the dining room, looking into the kitchen on the left and the (plastic covered) living room on the right. Nice blog and thank you so much for share your good piece of content with us.I like your blog post!